Hey there! I know I owe some photos of my latest and greatest cooking attempts, but I won’t lie, I haven’t been thrilled with a lot of what we’ve tried lately (or the photos I took). 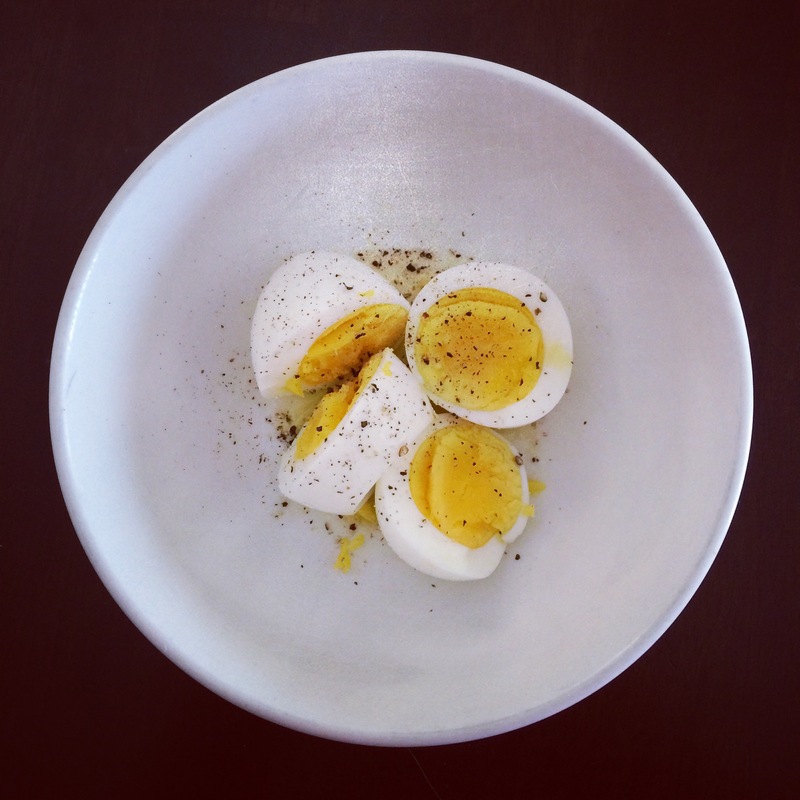 Instead I’ll share some simple, healthy snacks and meals that have been my go-to for the last few months. Though I’ve tried to eat fairly healthy for years, I’ve learned a lot of what I used to think was “healthy” is really packed with salt, sugar, and lots of other artificial substances. For health reasons, I’ve also tried cutting out white flour and starchy food. Sounds like there’s not a lot left, but you’d be surprised how creative you can get! 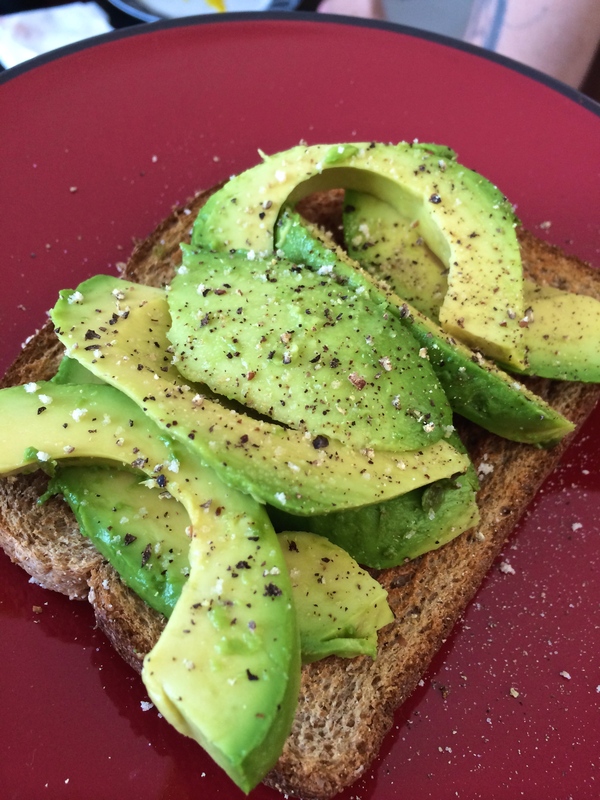 Avocado slices on wheat toast, with garlic salt and pepper. 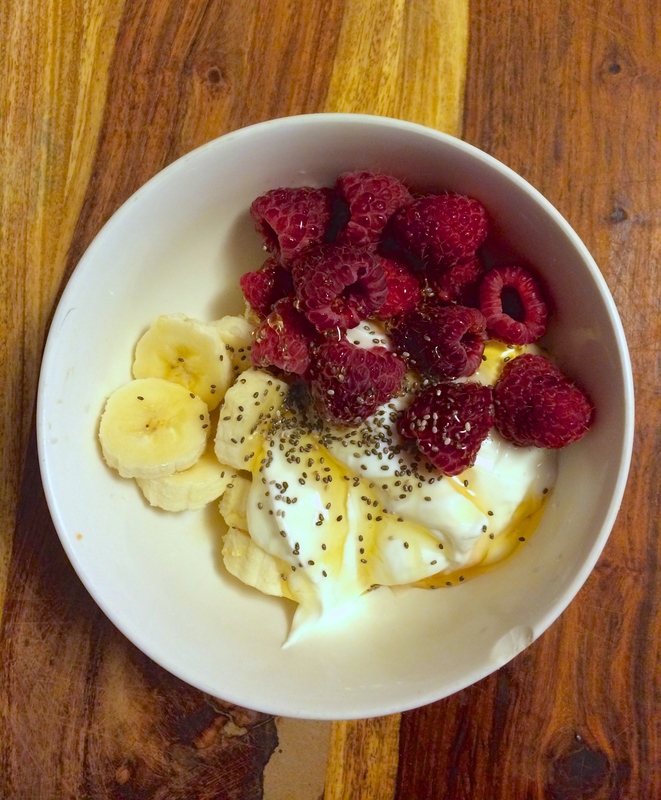 Plain non-fat greek yogurt with raspberries, banana slices, chia seeds, and raw honey. 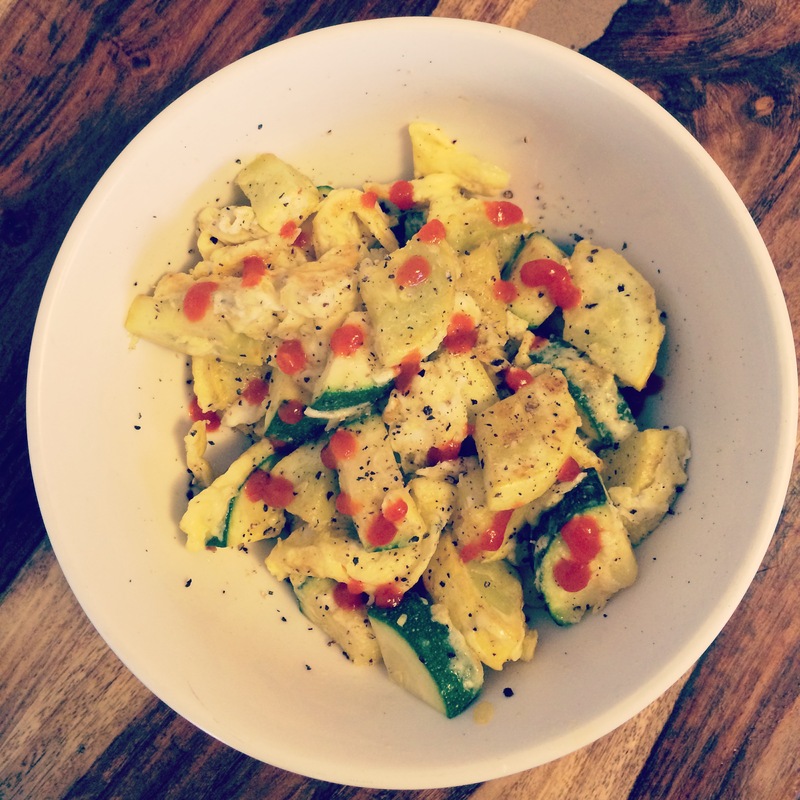 Green and yellow squash scramble. Sauté squash in 1 tsp. of olive oil, add 2 scrambled eggs, season with salt and pepper. Drizzle with Sriracha or hot sauce for a little spice. No cheese. 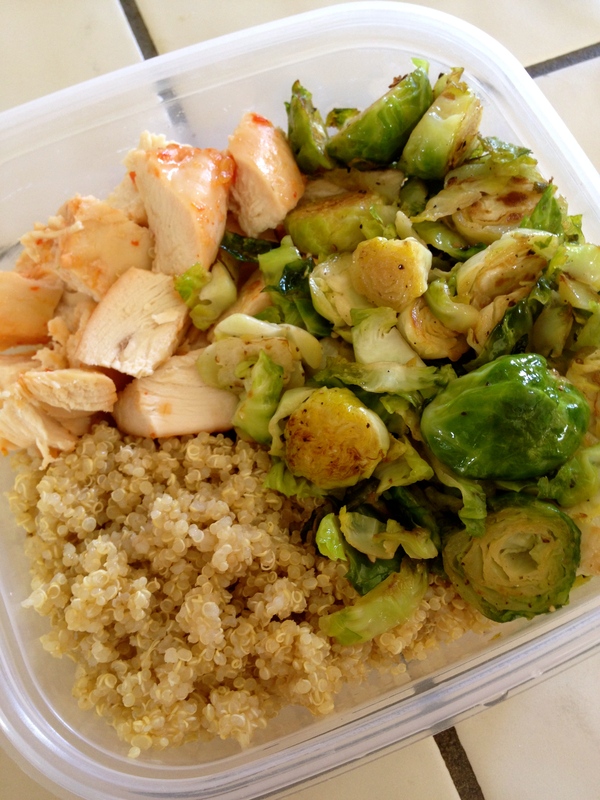 Baked chicken with brussels sprouts and quinoa. Brussels sautéed in olive or coconut oil. And I can’t take credit for this next dish, but I’m including it to show you there are lots of options to eat healthy when you’re out too! This beautiful salad was from Stone Brewing Company in Escondido, CA. 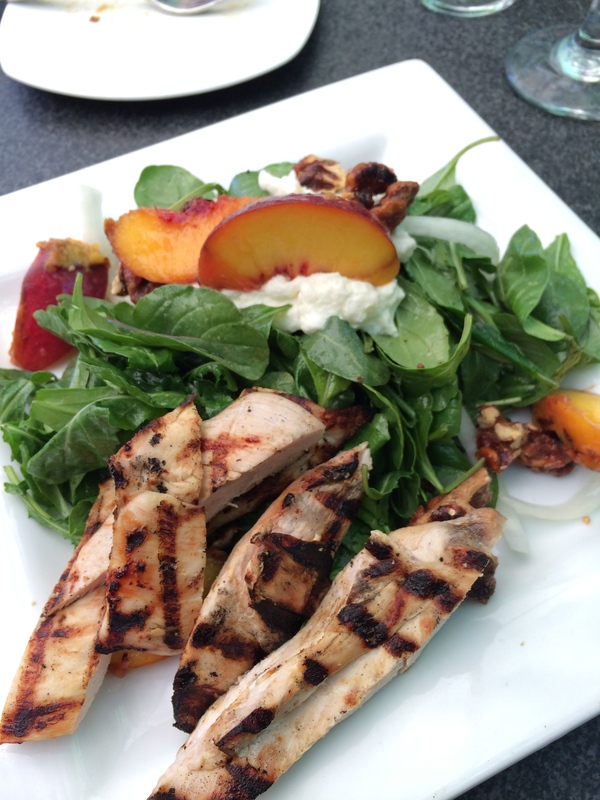 Grilled chicken and peach spinach salad with beets and goat cheese. Changing the majority of my eating habits doesn’t mean I don’t allow myself pizza or french fries once in awhile. My love for food and dining with a husband whose metabolism is superhuman, I have to give myself a little wiggle room. What they say is true though – – when you eat healthy, you feel better. Period. Working out is easier and it’s actually pretty fun trying to find new clean recipes to try. Photos of our latest SD adventures to come soon! avocadobrussels sproutsclean eatingeggsfoodhealthyhealthy foodquinoasaladscramblesquashStone Brewing Co.